Genetic test-maker 23andMe has been warned by the Food and Drug Administration to halt sales of its Saliva Collection Kit and Personal Genome Service because the company is marketing the kits without approval from the health agency. The FDA's Nov. 22 warning letter to company CEO Anne Wojcicki noted that the personal test kits are marketed for providing “health reports on 254 diseases and conditions,” including categories such as “carrier status,” “health risks,” and “drug response” and as a “first step in prevention” that enables users to “take steps toward mitigating serious diseases” including heart disease and breast cancer. Wojcicki appeared on CBS This Morning Nov. 7 (left) to discuss genetic testing and her company's goals. The Mountain View, Calif. company has provided genetic testing for about 500,000 customers who were genotyped by spitting in a cup and submitting their samples. The FDA says some of the intended uses of the products are “particularly concerning,” because the tests could have life-altering health consequences that “could result from false positive or false negative assessments for high-risk indications." Examples of particular concern include testing for the BRCA gene variations linked to breast and ovarian cancer, or tests that look at whether people are too sensitive to the blood thinner warfarin and could put their lives at risk by taking it. A woman who receives a false positive BRCA result may decide to undergo preventive double mastectomies or preventive chemotherapy which she didn't really need, for example. The FDA is concerned about the medication sensitivity tests because the results might lead people to self-manage their medications or even abandon therapies recommended by their doctor. Taking wrong doses of warfarin could result in illness, injury or death, according to the FDA. The agency said it raised these concerns with the CEO in Sept. and Nov. 2012 following applications for approval for several of these proposed uses. In fact, the FDA said it met with Wojcicki 14 times and exchanged hundreds of emails and dozens of written communications to discuss some of these concerns. As such, the applications are considered withdrawn and 23andMe must immediately discontinue marketing its product until the FDA grants it marketing authorization. Wojcicki has 15 working days to address the issues noted in the FDA’s letter. 23andMe sparked controversy in Oct. after it received a patent for a Family Traits Inheritor Calculator, which potentially could be used to allow couples to see what kind of genetic traits, diseases and physical characteristics might be passed to children. The news had critics fearing an age of “designer babies” where parents could pre-select their children's traits. The company said at the time its patent would not be used for this purpose. 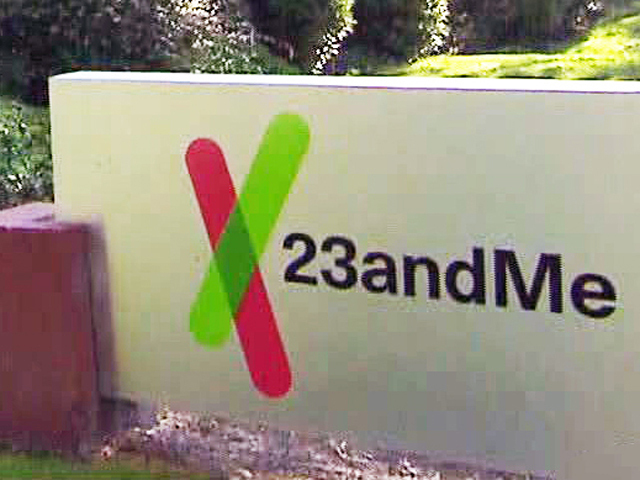 "We have received the warning letter from the Food and Drug Administration," 23andMe said in an emailed statement to CBSNews.com Monday afternoon. "We recognize that we have not met the FDA's expectations regarding timeline and communication regarding our submission. Our relationship with the FDA is extremely important to us and we are committed to fully engaging with them to address their concerns."